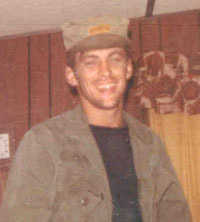 Richard Abbott Whitten was born 10/27/37 in New Orleans, LA, to (Col) Richard Carlton Whitten and Barbara Abbott. He graduated in May, 1655, from Fork Union Military School in Charlottesville, VA, and entered Marines in 1955 at Paris Island. Richard did a tour of duty in Okinawa and left Marines after four years in 1959. Whitten entered U.S. Army in 1959 and served in various locations throughout the world. Richard was in the Federal Republic of West Germany when the Berlin Wall was constructed 1961/62. He served a hardship tour in the Dominican Republic with 82nd Airborne. He left 82nd to go to Vietnam where he served 13 months with the 1st Cavalry Division from 1969-70. Richard was assigned to the Mountain Ranger Camp in June, 1970, until his retirement in summer of 1976 with 21 years of distinguished service. He was awarded three Bronze Stars and one Silver Star.